I was happy to see that NYX was in the box. 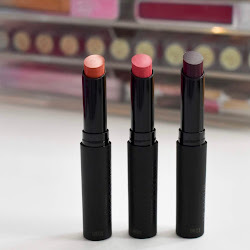 NYX has some of the best affordable products and this trio is a great one. The one that I got is called Sway With Lola and it has pink, brown, and light blue shadows. I wasn’t sure how I would like this trio since I’m not a huge fan of blue shadow. But I was pleased at how soft the blue is and the the other two shades are very wearable. 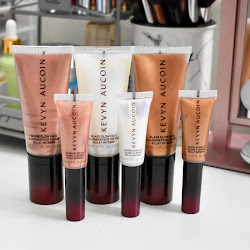 You can’t really go wrong when you get NYX in a sub box like this. I have tried Body Drench lotions in the past and they have been great. They keep my skin moisturized throughout the day and they are really lightweight. The one I received was Hemp Moisturizing Lotion and it smells quite nice. I love Body Drench lotions because they are never greasy. I’ve never tried anything from Ofra Cosmetics, but I did enjoy this lipgloss. It had a nice minty smell and I love the shade that I got. It was a little sticky and I didn’t really notice any plumping, but lip plumping products don’t usually work on me anyways. Even though the plumping wasn’t there, I still liked this lipgloss. I was kind of surprised to see that Clean & Clear has a gel moisturizer. I hardly ever use Clean & Clear since their products are usually for those with oily/acne prone skin. I did try this though and it was good. This is water based and good for all skin types and it even worked well on my dry skin. I will definitely use this up and might even buy the full size. I am always doing my own pedicures at home and a product like this comes in handy to use. You can use it dry for rough patches or soaking your feet in warm water and then use it. I tried both ways and my feet are so smooth and no more rough skin under my feet. I would definitely buy this to have again. Overall, this box was great! I got to try products that I might have not known about or tried otherwise. 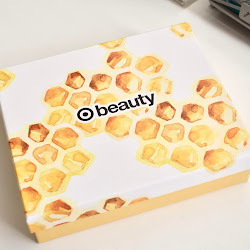 If you want to find out more about Beauty Box 5, everything is on their website. Love this box so far! I agree with you about blue eyeshadow but when swatched the NYX one looks lovely!